^ Up close & personal with Pua Khein-Seng. TheStar. September 5, 2009 [2011-08-05]. ^ Father of pen drive now a Datuk. TheStar. July 17, 2012 [2016-06-11]. 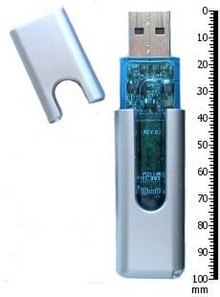 ^ 4.0 4.1 Singapore firm wins patent on thumb drive. 海峽時報. [2006-08-01]. ^ From Storage, a New Fashion. 紐約時報. [2006-08-01]. ^ Opera@USB : Portable Opera for free. [2006-08-01]. ^ Opera from a digital camera (or other removable devices). [2007-01-07]. （原始内容存档于2006-12-30）. 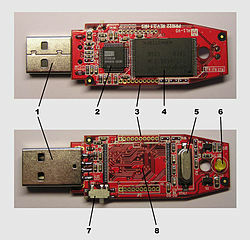 ^ Why the Security of USB Is Fundamentally Broken. Wired.com. 2014-07-31 [2014-08-04]. ^ Kingmax Super Stick. [2006-08-01].